Not everyone can afford a copy of Adobe Premiere Pro or Sony Vegas Pro. 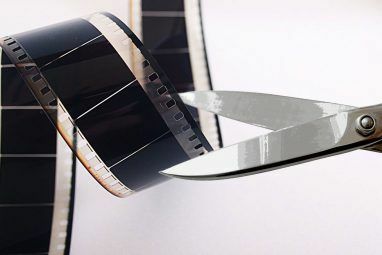 And while there are plenty of desktop video editors out there — on Windows The Best Free Video Editors for Windows The Best Free Video Editors for Windows Everyone takes videos these days. Yet powerful free video editors remain rare. We present the absolute best free video editors available for Windows. 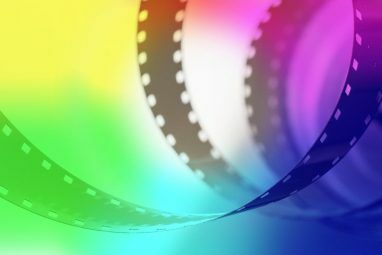 Read More , on Mac The 8 Best Free Video Editors for Mac The 8 Best Free Video Editors for Mac Need to edit video on a budget? These free Mac video editors let you perform essential video editing tasks at no cost. Read More , and even on Linux — nothing can beat the accessible-from-anywhere convenience of an online video editor. What’s surprising is just how many of these Web-based video editors there are, and how many of them just aren’t very good, but the good news is they aren’t all bad. In fact, several are pretty darn good. 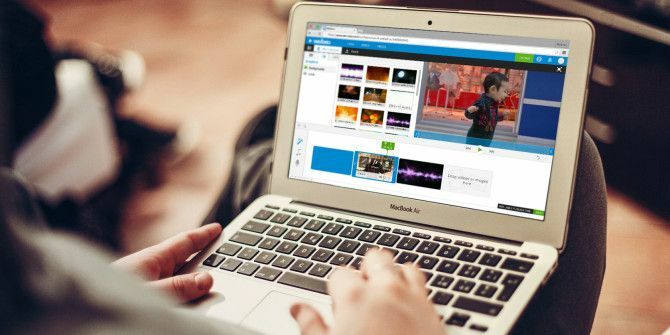 WeVideo is a cloud-based video editor with a powerful feature set and a lot of reasons to use it, but perhaps the best reason is due to its simple interface, shallow learning curve, and ease of use. It’s one of the few worth paying for. A free account gets you 2 GB of cloud space, up to 720p resolution, up to 50 tracks from the music library, and up to 5 minutes of “published video time” per month. The downside is that you’re limited to basic editing features and the video will be watermarked. Or you can pay a one-time price of $10 for 5 GB of cloud space, up to 720p resolution, up to 400 tracks from the music library, up to 60 minutes of “published video time”, no watermark, and all advanced editing features. If you run out of publishing time, you can just pay another $10. Editing features include transitions, animations, transformations, speed ups and slow downs, green screen, a Storyboard editor, a Timeline editor, and easy exports to popular sites like YouTube, Vimeo, DailyMotion, Facebook, and Dropbox. WeVideo is also available as an Android app and iOS app. Editing videos on a mobile device is certainly more restrictive than on a computer, but if you can handle it, WeVideo is easily one of the top choices alongside Adobe’s Creative Cloud apps Should You Download Adobe's Creative Cloud Android Apps? Should You Download Adobe's Creative Cloud Android Apps? Watch us put Adobe's four Creative Cloud Android apps -- Capture, Photoshop, Lightroom, and Illustrator -- to the test. Read More . Loopster is a cloud-based video editor that’s designed to be easy enough for amateurs but powerful enough for those seeking to do more serious work. Even if you have absolutely no video editing experience, Loopster’s interface is so simple that you’ll pick it up in a snap. A free account gets you 3 GB of cloud space, up to 480p resolution, up to 10 minutes on the timeline, up to 1 GB max size per uploaded file, and a Loopster watermark on the final video. Good enough for amateurs, and not as restrictive as WeVideo in terms of how many videos you can publish. Paid accounts come in four tiers. The first two are for individuals — Plus ($4 per month) and Movie Producer ($8 per month) — while the last two are for organizations — Education ($80 per quarter) and Business ($130 per quarter). All of these packages remove the watermark, increase resolution to 720p, and unlock a few advanced features. The difference between Plus and Movie Producer tiers? The former has 10 GB cloud space and 20 minutes on the timeline while the latter has 20 GB cloud space and 30 minutes on the timeline. In addition, Loopster provides a free library of 600+ sound effects, the ability for multiple users to collaborate on one video, easy distribution to several video sites, and is also available as an Android app and iOS app. Want to make a professional-looking video without doing any serious editing work? Then Magisto is the tool for you. Think of what Instagram did for amateur photography, then apply it to amateur videography. Yeah, that about sums it up — and I don’t mean that in a bad way. It works like this: once you have a video clip, all you have to do is upload it to Magisto, pick a “theme” for it, and decide on the background music for the clip. Despite the fact that you have very little control otherwise, Magisto’s results are rather impressive. Seriously, Magisto does all the work. Once uploaded, Magisto analyzes the clip and determines which postions are the “most interesting”, then cuts out all of the uninteresting parts. Expect the final video to be noticeably shorter than the source video you uploaded. Upgrading to a Premium account, at $5 per month, lets you publish longer videos (up to 2.5 minutes in length) and gives you the ability to download the final video. With a Free account, videos can be published directly to YouTube, Facebook, Twitter, and more. Magisto is one of our preferred tools when editing videos in Chrome 3 Ways To Do Video Editing From Within Chrome 3 Ways To Do Video Editing From Within Chrome If you're on a budget and need free video editing options, look no further than these three Chrome apps, compatible with both your browser and Chrome OS. Read More . Wideo isn’t a traditional video editor. Rather than taking a clip that you recorded elsewhere — such as with your phone or camera — and letting you apply changes to it, Wideo lets you create animated videos from scratch with ease. Here’s how it works: You can upload your own images and audios (but not video clips, unfortunately) and animate them using the tools provided by Wideo. 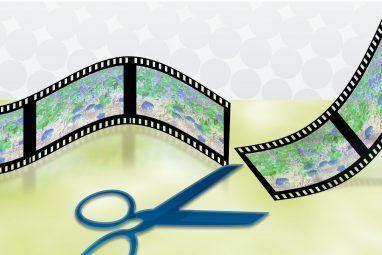 Animations include transformations, transitions, and text effects. It’s best for making the kinds of videos you’d see as marketing promotions for a new mobile app or a business presentation full of graphs and data. Wideo comes with dozens of templates — advertisements, tutorials, infographics, etc. — that’ll speed up your video-making time. The Free plan lets you make unlimited videos with a 30-second limit. Upgrading to the Plus ($9 per month), Pro ($19 per month), or Agency ($39 per month) plans increases the video length limit, increases video quality, and how many Wideo-provided assets you can use. The Free and Plus plans are watermarked. Free accounts have basic animation and slide features, no downloading of videos, can only be used for non-commercial purposes, a max length of 5 minutes, a limited selection of royalty-free music Here Are 5 Resources For Royalty Free Music Here Are 5 Resources For Royalty Free Music I'm quite sure that some of you out there are wondering where to find royalty free music whether you're a videomaker, a game developer, or one of those neo-artist stage performance poets that uses a... Read More and styles, and are watermarked. Compared to Wideo, it’s admittedly a bit gutted for flexibility. Pro accounts ($229 per year) and Business accounts ($708 per year) have advanced features, better video resolution, commercial rights, more music and styles options, longer video lengths, and no watermarks. Pretty expensive, I know, but worth it if you’re going to be making a lot of videos. Which Online Video Maker Is Best? If you absolutely need a professional video, your best bet is to spend the money and find someone with the right tools (e.g. Adobe Premiere Pro, Sony Vegas Pro) and the proper skillset to make it a reality. If your budget is limited, however, then these tools can still get you pretty far. Are there any online video editing tools that we missed? Which ones look most interesting to you? Share your thoughts with us in the comments below! Microsoft Paint Remains Part of Windows 10How Do Experts Take Stock Photographs That Sell? I'd take iMovie over just about any of these. Having never used iMovie, I can't agree or disagree. Is there anything specific about iMovie that you like? I'm not convinced the the idea of "edit anywhere" tools. Surely you want to edit it from where you have the source material?